It's my first monthly favourites of 2019! Woohoo! Now I have set myself a little challenge (well kind of) to narrow down my favourites each month. I noticed last year when I was trying to work out my end of year favourites that I had some massive monthly favourites which I then struggled to narrow down. This year I'm hoping that by making my monthly favourites smaller it will make deciding my end of year favourites easier. Does that make sense? Anyway, January is usually a quieter month for new products so today's post is going to be pretty small. Kicking off my favourites with some nail art. I am trying to be good and do some more nail art (I say that as I am wearing a plain mani oops). 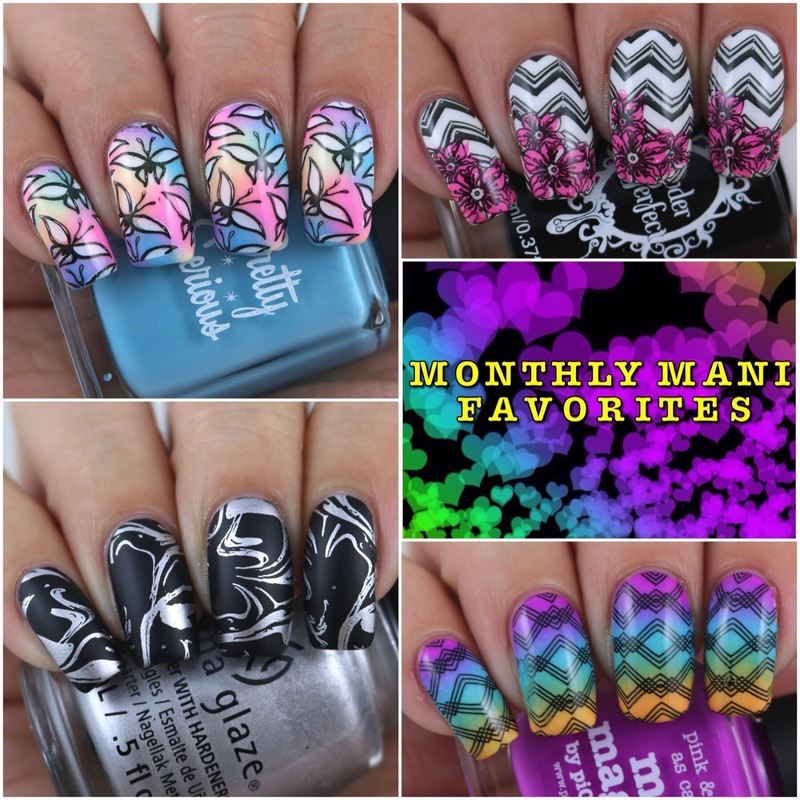 I have definitely done some more nail art than what I have shared so far but as a rule I will only include things that I have shared on my blog (and Instagram). I have been playing with a few different stamping plates this month. I'v even dusted off some of the plates that I have had for years. That definitely has been fun. But ultimately there are two plates that made my heart sing. I really like Collection 28, however I am not sure if I can call the full collection my favourite. The first plate in this collection is easily a favourite. I even did some of my favourite nail art using this plate so this is a definite must have in my favourites post. 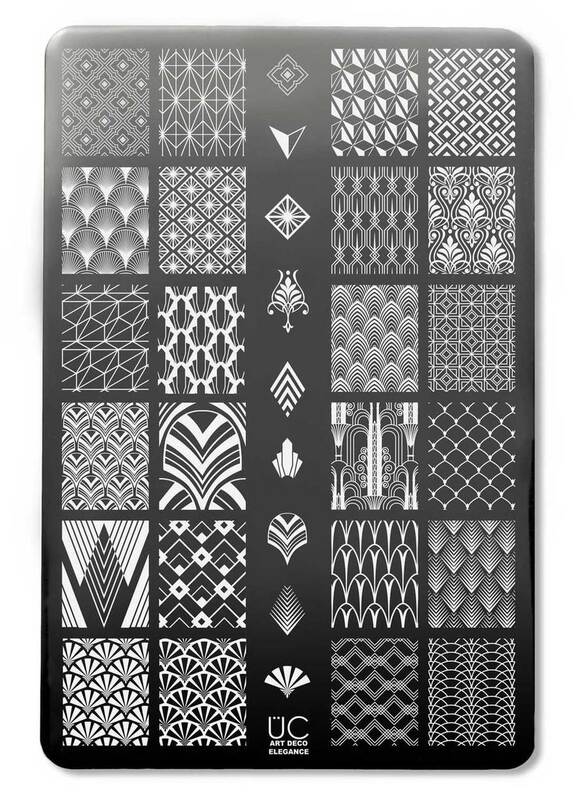 I think I have added all of the Art Deco plates into my favourites posts, but that said these plates are awesome! They have so many amazing images on these plates and Art Deco Elegance is no exception. I love it! I haven't really played with any new mainstream polishes this month (although I am about to swatch the new OPI Tokyo Collection so stay tuned for that) but once again I have some favourites from two of my favourite indie brands - Emily de Molly and Grace-full Nail Polish. While technically these polishes were released last year I didn't get them until this year so I am counting them as this year. It's safe to say that I fell head over heels for one of these polishes in particular - LE130. This polish is hands down my favourite Emily de Molly polish from this month. I also love LE135 and LE140. Emily de Molly have kicked started the year in the most beautiful way - with gorgeous polishes of course! I have quite a random mix of favourites from this year - Birthday Project, Leave It To Me and Opposite Order. All are such great polishes! 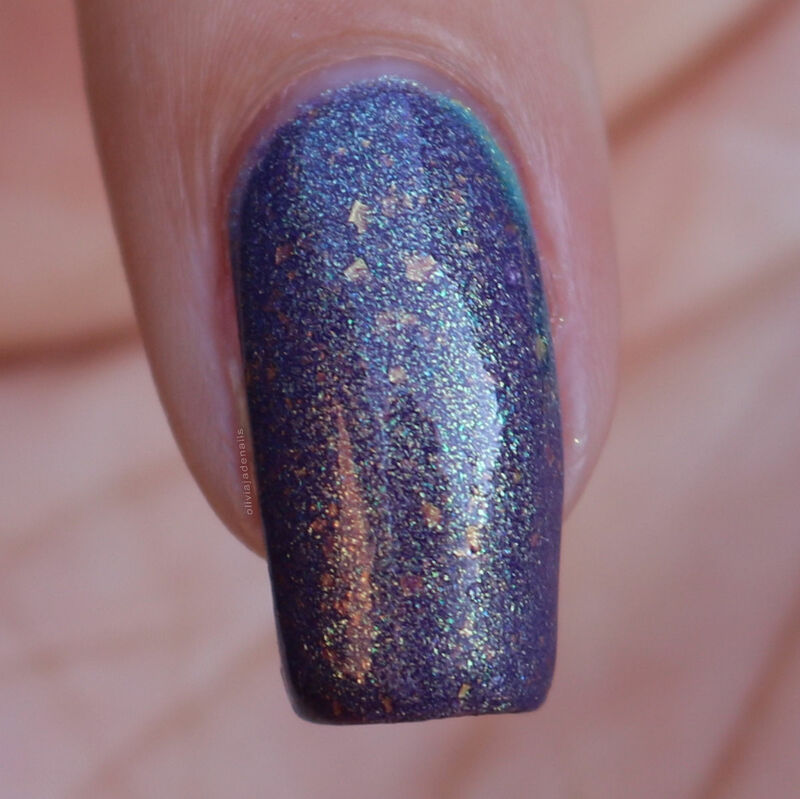 Winds And Rainbows was this month's Polish Pick Up shade from Grace-full Nail Polish and I love it! It's so pretty and shifts well between the shades. It was really fun to wear. My swatch shows this polish in it's cold state. It seems a little odd to be including a February polish into my January favourites but it has been shared in January so it counts for this month's favourites. There is great colours in this thermal. I'm pretty that is everything that I have loved this month. I'm pretty impressed that I have managed to narrow down my favourites. I have been swatching some new things for February already and I know that it is going to be soooooo hard to narrow down. But I can be tough.... can't I? Guess we will find out at the end of February. Between now and there all I can say is prepare your wallets guys! There is some amazing things coming. It's Polish Pick Up time again! Well in a couple of days really, but I like to try and get things out earlier so you have plenty of time to decide what you want to grab so you don't miss out. Nobody likes missing out on the pretty things, especially if they are limited edition. That brings me to today. Today I have this month's PPU shade by Grace-full Nail Polish, which is inspired by Rapunzel and Flynn. I think Rapunzel may just be my favourite Disney Princess, but that is beside the point. Let's look at this polish shall we? 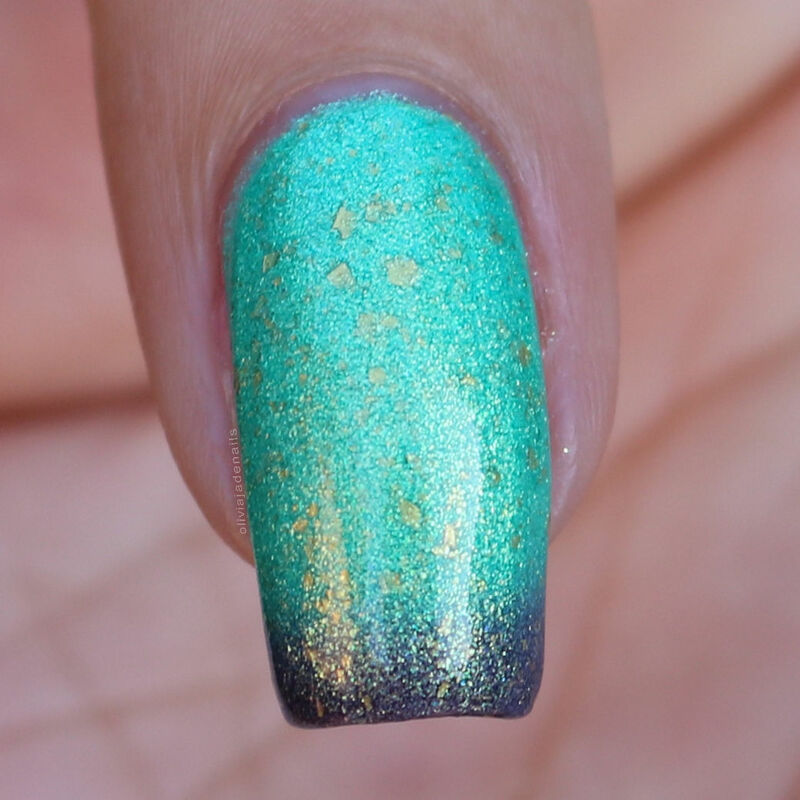 I've Got A Dream is a purple to tiffany blue-mint green thermal with aurora shimmer and strong gold shimmer and gold flakes throughout. Oh boy this baby changes shade soooo well. I put it on purple and it instantly changed to green. That being said it is summer here and it has been really hot! I needed to freeze my fingers in order for it to stay cold enough for my to take pictures. I am a huge fan of both the warm and cool shades, however I definitely prefer them by themselves and not when they are half and half (if that makes sense). The formula is great and applies evenly. I used three coats for my swatch, however you can definitely stop at two coats. I just found that it was a little too see through at the tips in direct light (I am fussy about that). How pretty is this polish? I do think it looks prettier in person than in my pictures, but I guess most polishes do because you get to see their true sparkle. 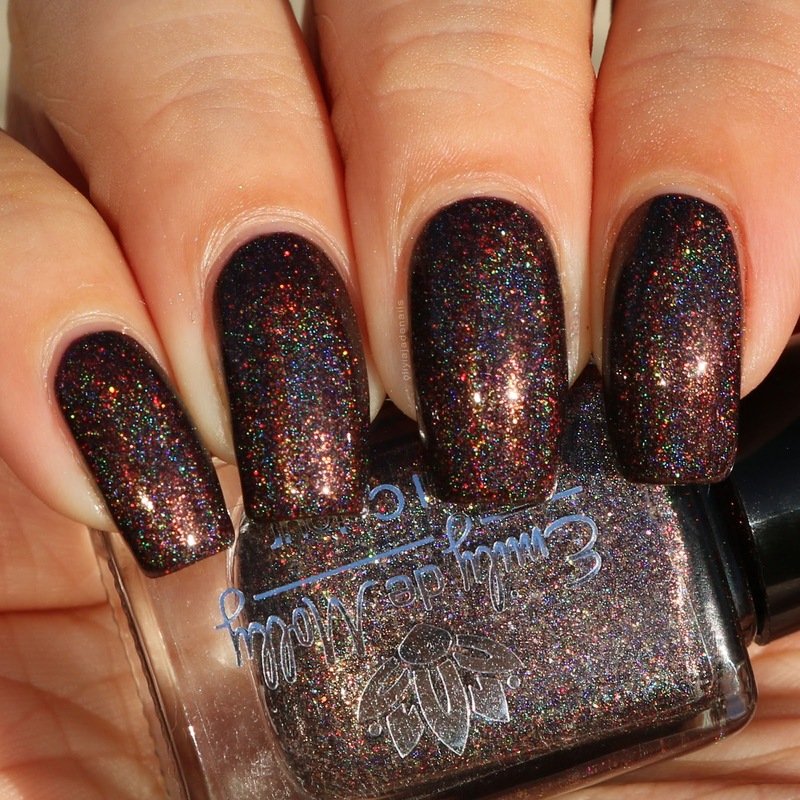 I've Got A Dream will be available via the Polish Pick Up from 1st February at 11am EST until Monday 4th February. 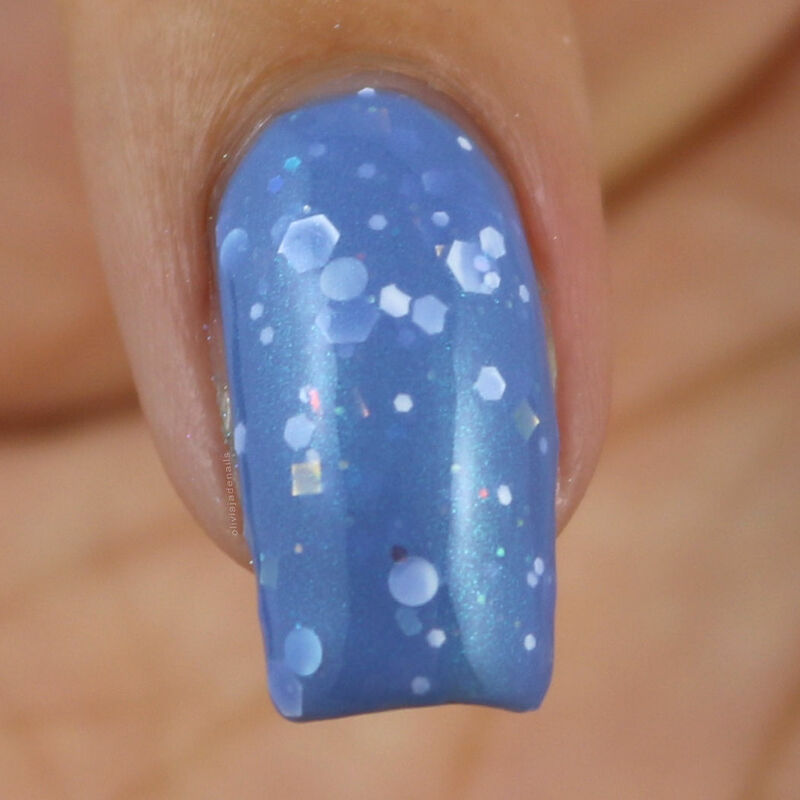 This polish is capped to 135 bottles (US) and 15 (UK) so you know that if you want it then you need to be quick! Don't say I didn't warn you. 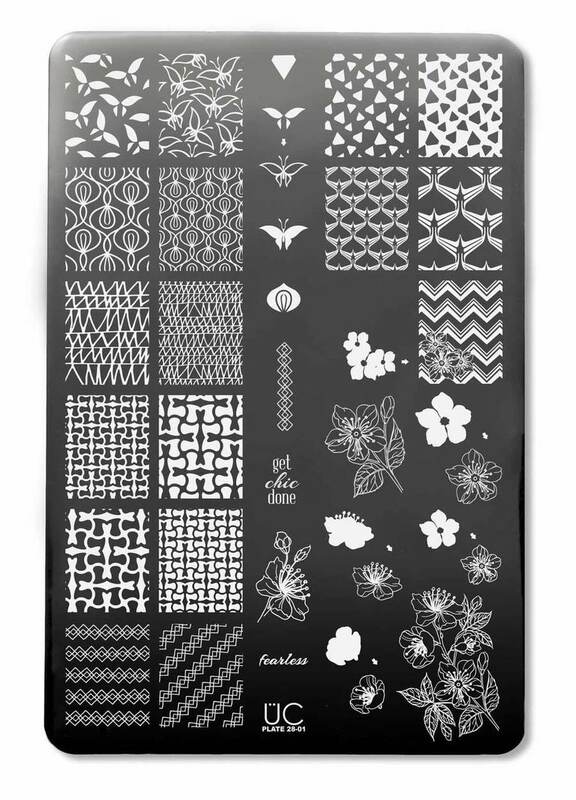 Uberchic Beauty are back with some new mini stamping plates. There are three in total - two sporting ones (Basketball Love and Soccer Love) and one plate for St Patrick's Day. I'll be sharing all three of these plates over the next week and a bit, starting with Soccer Love. Now before jumping into this plate I should say that I am not a soccer fan. It's not a sport that I have ever gotten into, then again I really am not a sports person at all. With all that said, that doesn't stop me from using some sporting stamping plates does it? Soccer to me really is about black and white, and while I think this image would make for an awesome black and white accent nail I thought it would be fun to give it some colour - rainbow colours in fact. I really like how this turned out. 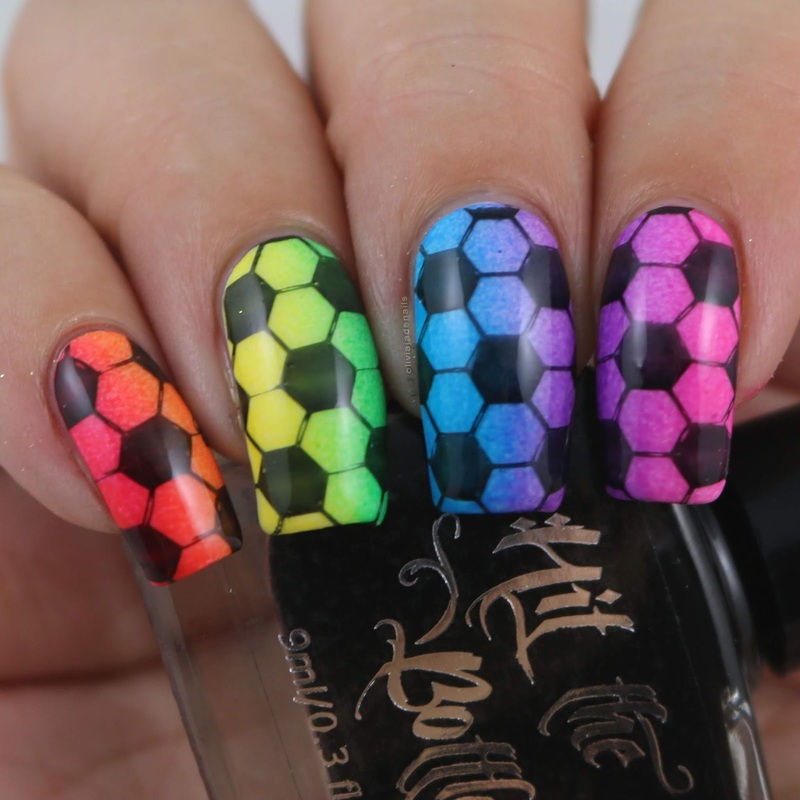 For my gradient I used Hit The Bottle's Jelly polishes in Fireball, Screwdriver, Bubble Bee, Shamrocked, Blue Kamikaze, Purple Hooter and Pop Rocks and stamped using Powder Perfect's Black Stamping Polish. Sticking with the whole colour thing for this next image too. For the most part, this image doesn't scream soccer to me so I quite like it. For my base I used OPI Suzi-san Climbs Fuji-san, Tempura-ture Is Rising, Hurry-juku Get This Color!, Kanpai OPI!, How Does Your Zen Garden Grow? and Another Ramen-tic Evening (all from the OPI Tokyo Collection). As I mentioned earlier I'm not really a sports fan so I can't say that this plate is a favourite of mine. But if you are a soccer fan (or perhaps have a partner that is a soccer fan) then this plate is for you! When my daughter's gymnastic competition season starts I'll have to break this plate back at and use the number one medal. She will love that! 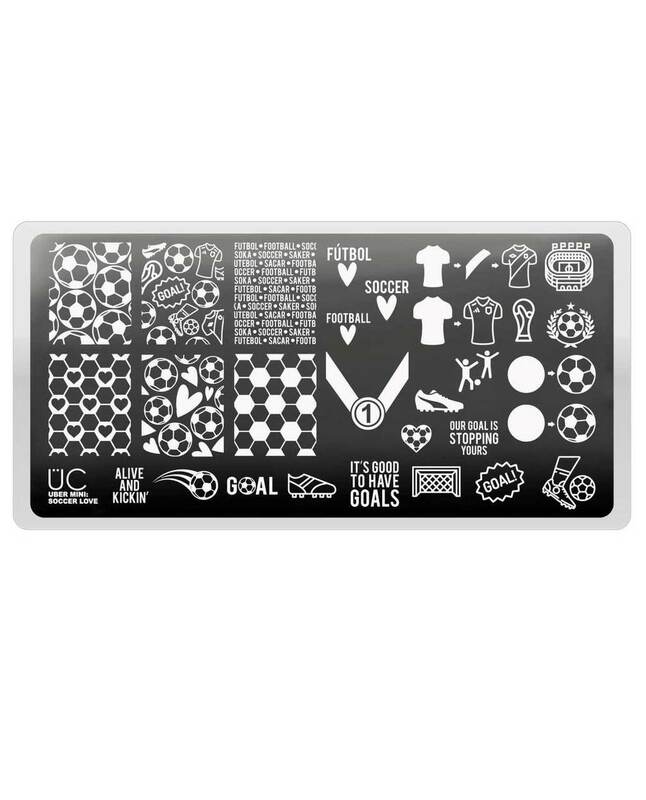 The Soccer Love Mini Stamping Plate is available now from Uberchic Beauty. Earlier this week I shared with you part one of the Emily de Molly Limited Edition polishes that were released on Boxing Day last year. You can find that post here. There are some seriously amazing polishes in part one....and there are some awesome polishes in this post. Today I have the other ten limited edition polishes to share with you. LE132 is a purple base with blue chrome flakes. The blue flakes mostly look dark grey due to the base colour. The colour of this is gorgeous! And I really like the glitter in it. It does make it look like it has two different types of glitter which is cool. The formula is great and applies evenly. My swatch shows two coats. 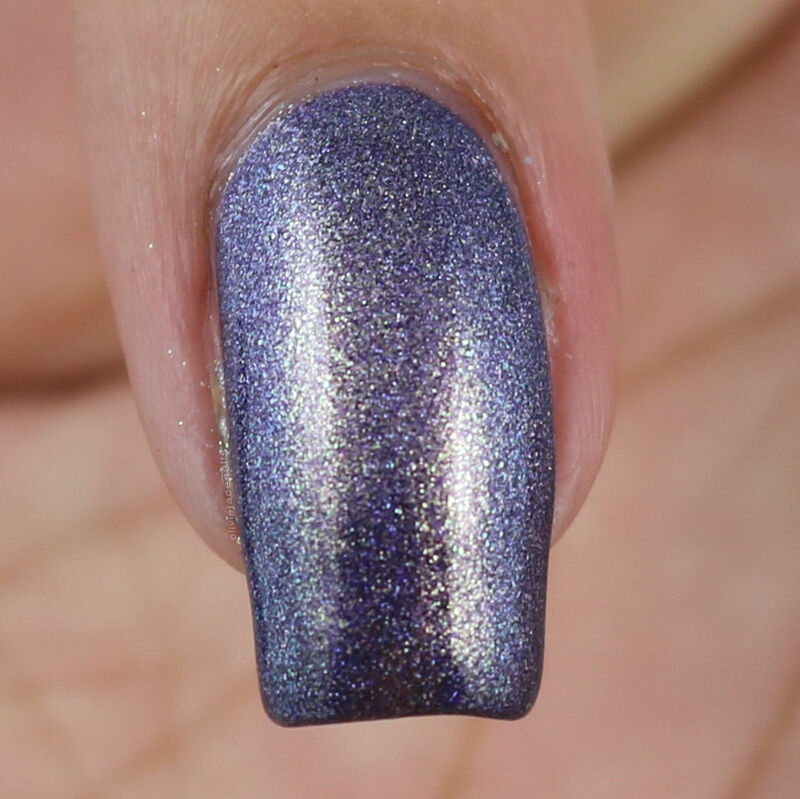 LE133 is a purple with turquoise shimmer and glitters in white and iridescent. This is so pretty! I love that we are starting to see some more of these types of polishes creeping back into the indie world. The formula is great and applies even. I used two coats for my swatch, however I do question if I need a third coat. 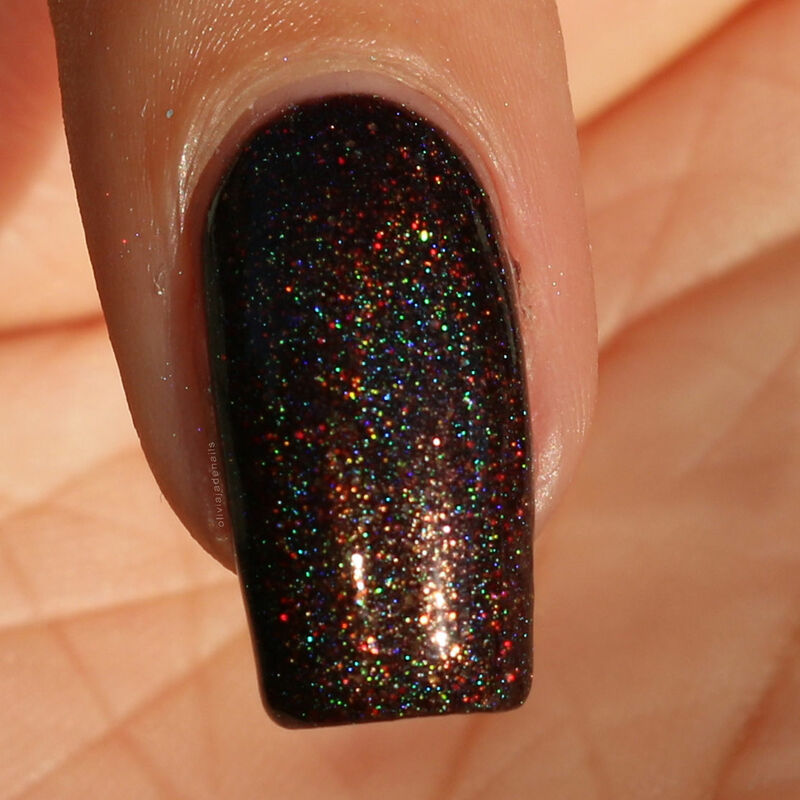 LE134 is a dark brown holo with gold holographic glitters. I think this is a good colour for winter. The formula is amazing and you could easily get away with one coat. I used two coats for my swatch. 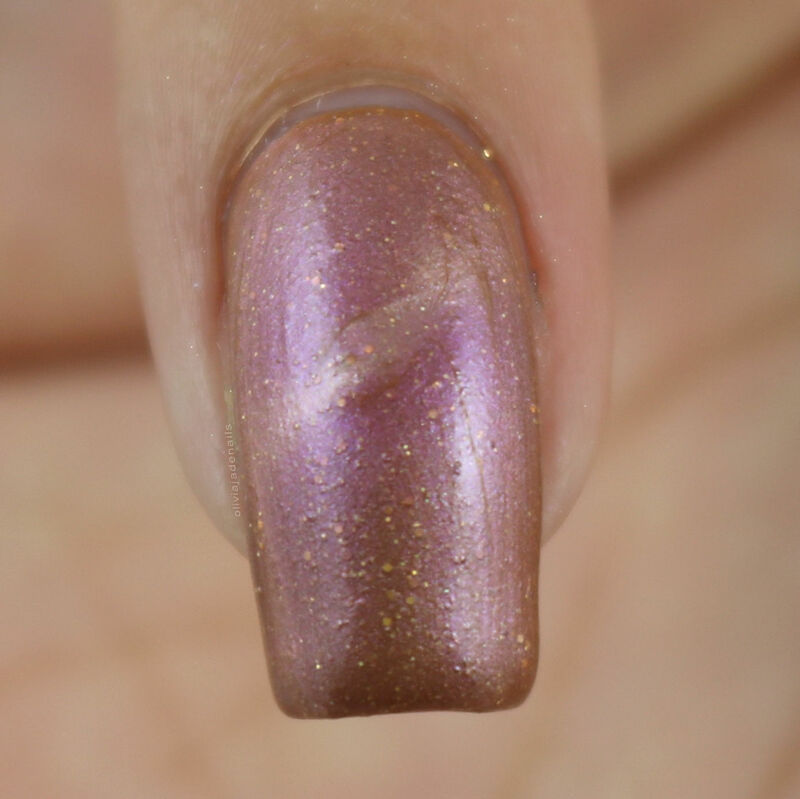 LE135 is a light brown holo with pink overlay, gold flakes and gold micro glitters. I love everything about this polish. It's gorgeous! The formula is amazing and is opaque in two coats. 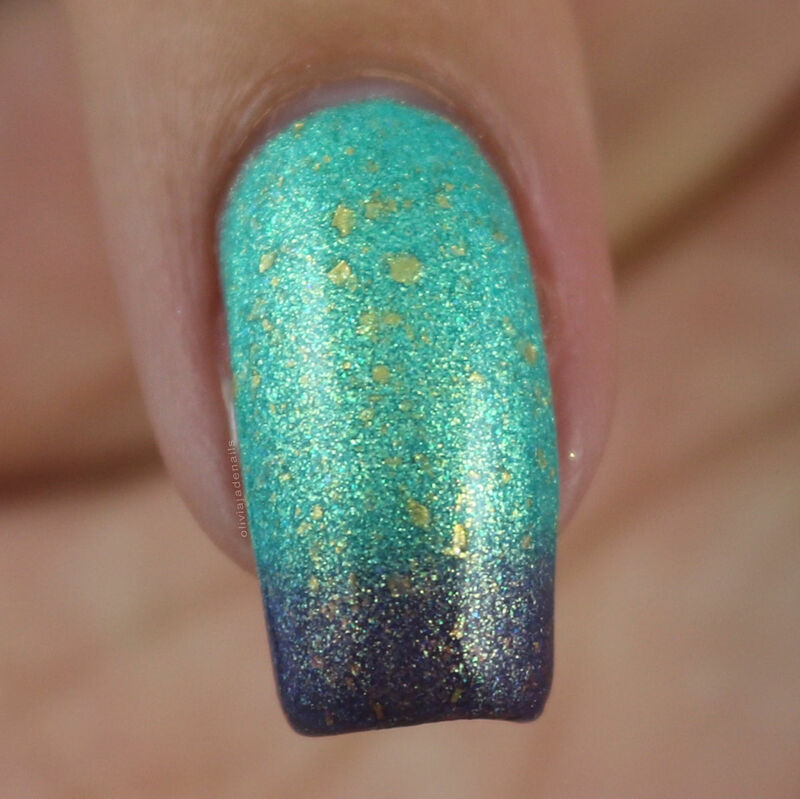 LE136 is a dark purple holo with golden green foil type shimmer. I'm a huge fan of this one. I think the colour plus the shimmer is stunning. The formula is great and applies evenly. I used two coats for my swatch. LE137 is a terracotta brown with violet overlay, gold holographic micro glitters and a light gold magnetic effect. This one isn't really my cup of tea, but you can't win them all. The formula is good and easy to use. My swatch shows two coats. I should point out that I didn't use top coat on the magnetic swatch so that is why it looks a little textured. Top coat will definitely sort that out. 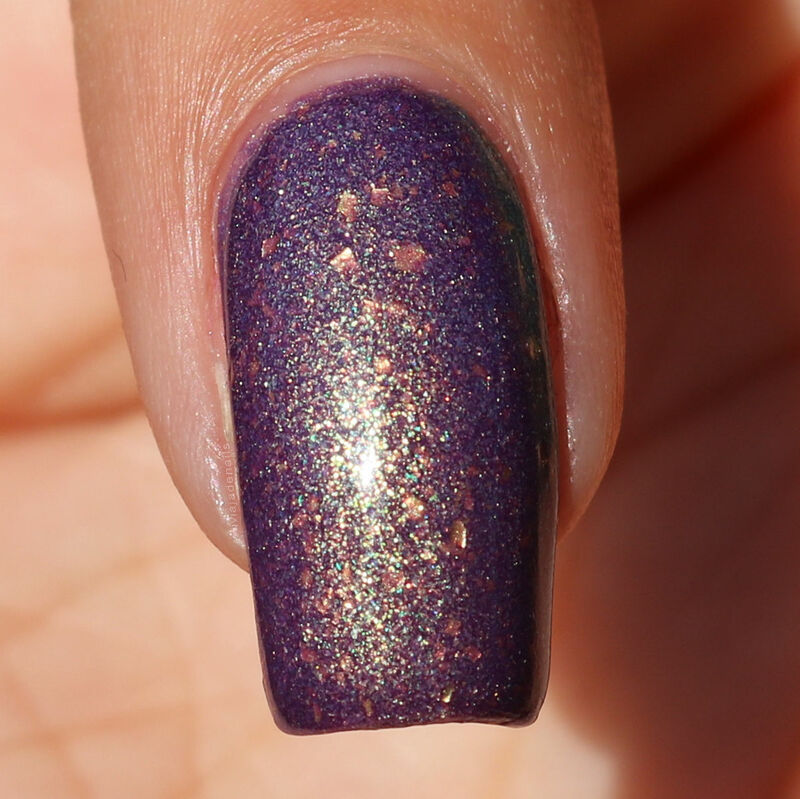 LE138 is a dark purple with subtle pink to green shifting multichrome shimmer and gold holographic glitters. 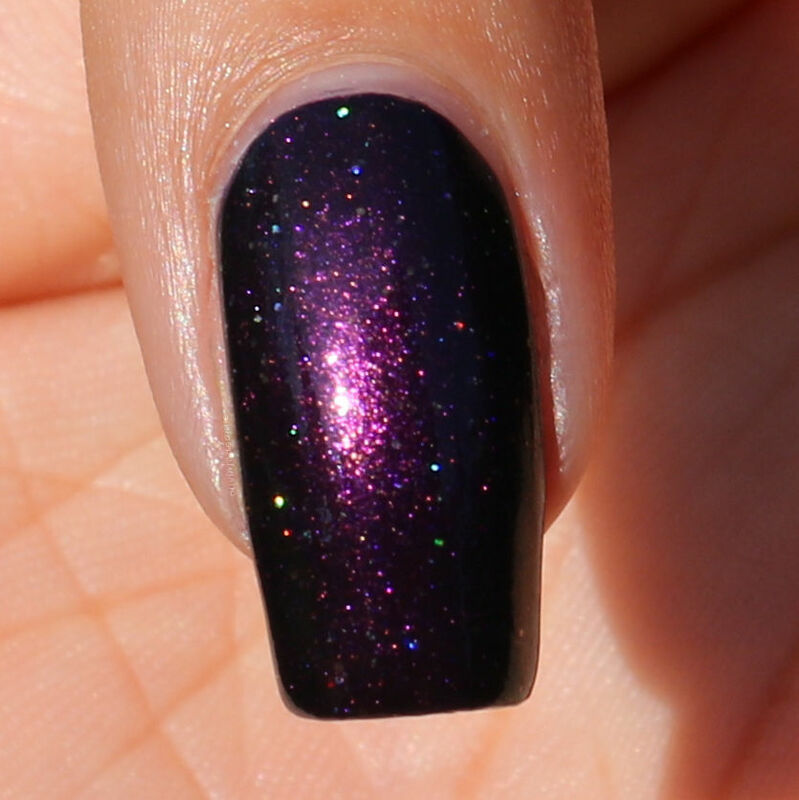 This is such a gorgeous dark polish. I can see me grabbing for it particularly in the cooler months. The formula is awesome and applies like a dream. I used two coats for my swatch. 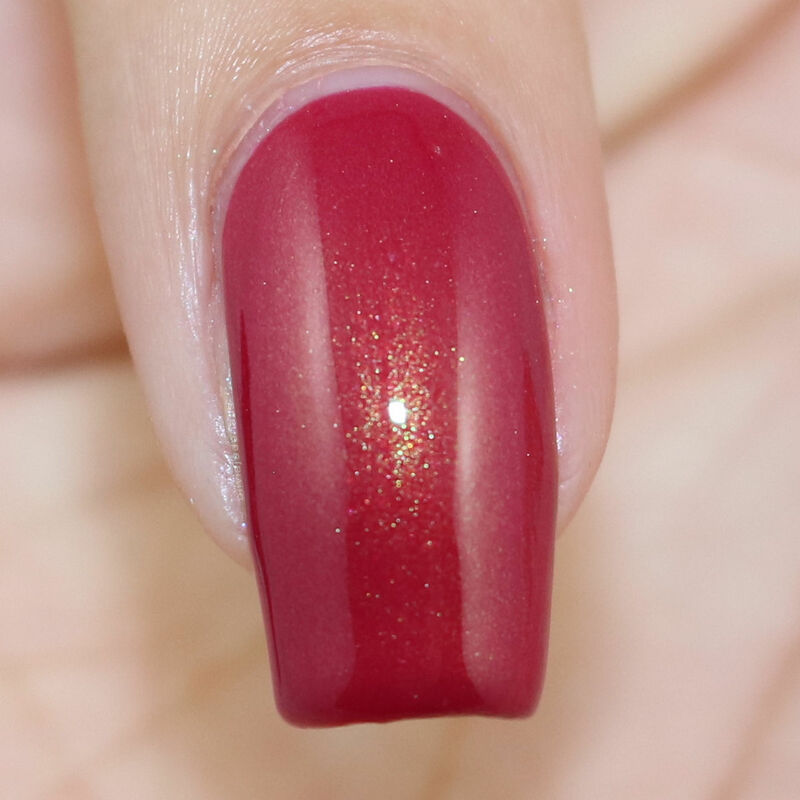 LE139 is a cherry red with subtle golden green to pink shifting shimmer. As you may know I am not particularly a red polish fan, but I do like this one. I think it is nice. My pictures don't do the shimmer justice. The formula is great and is opaque in two coats. 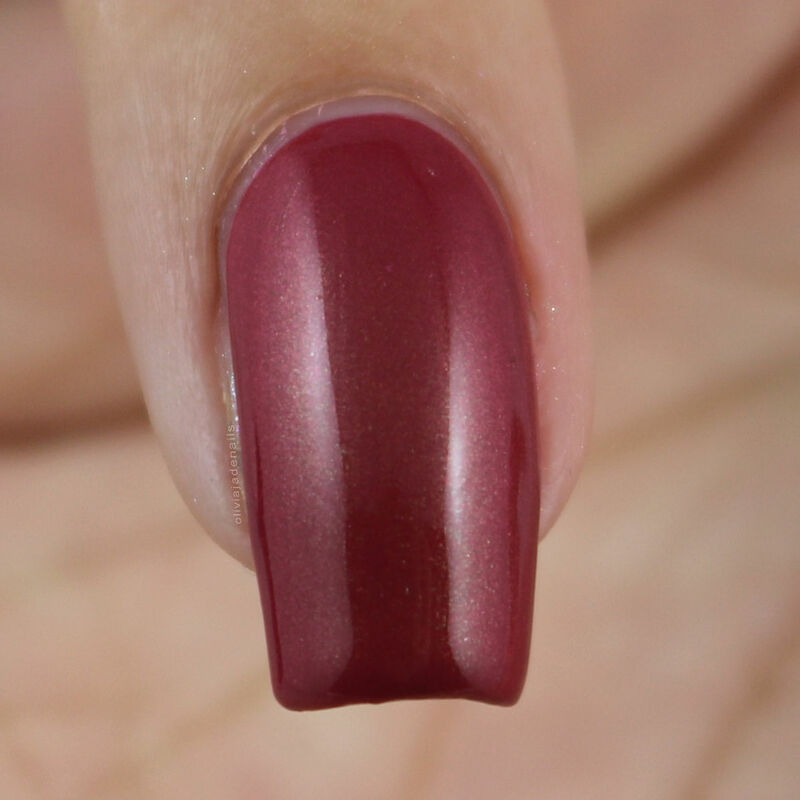 LE140 is a maroon base with gold micro flakes and both a dark magenta and a purple magnetic effect. This is such a gorgeous colour! I love it. 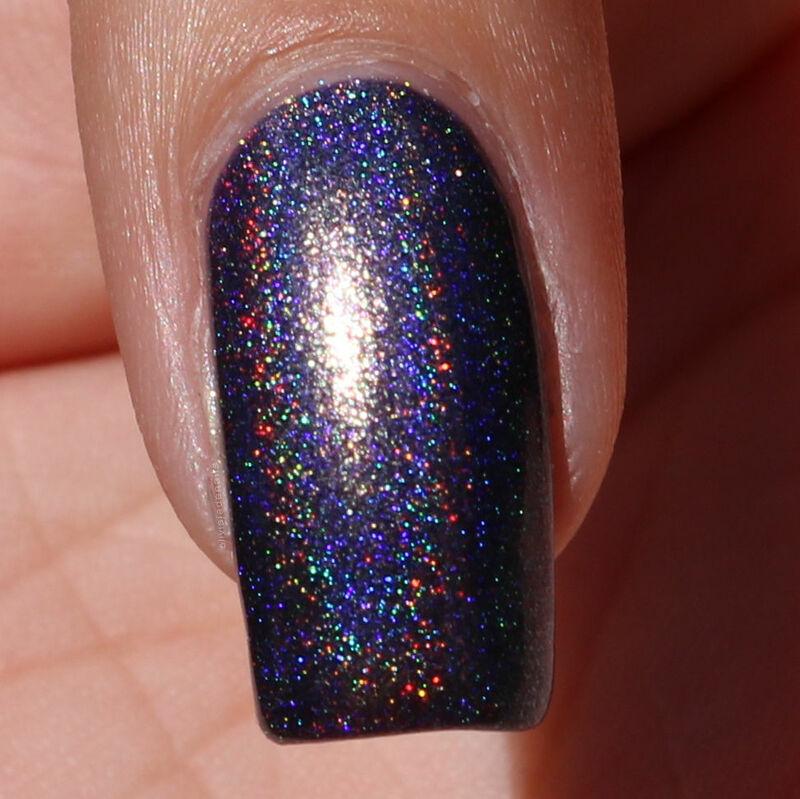 The formula is also awesome and opaque in two coats. 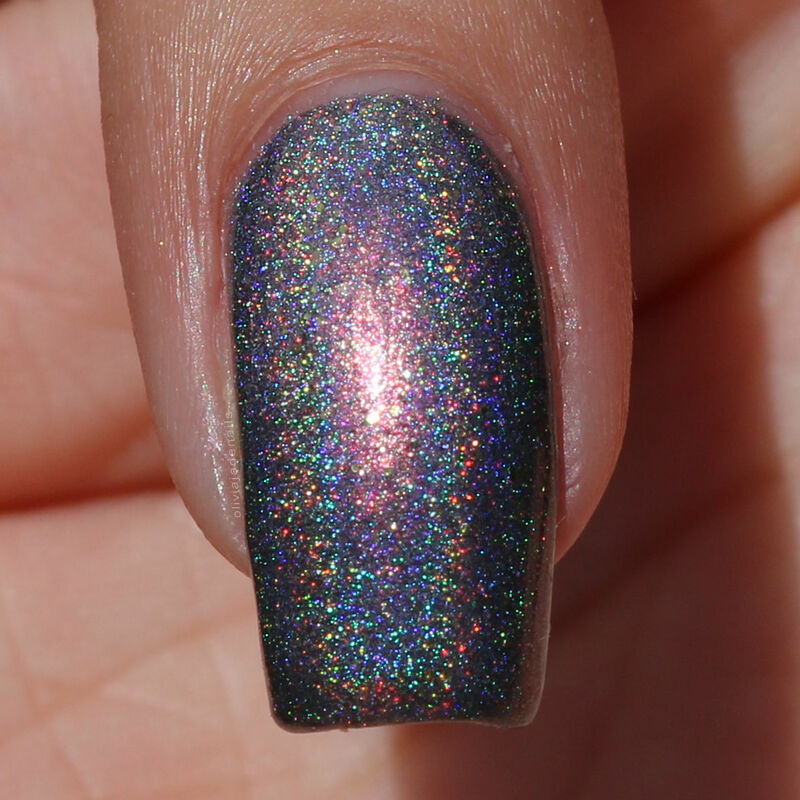 LE141 is a pinkish purple holo with white, black and iridescent glitters. I quite like this one. I think it is an interesting mix with the glitters. The formula is great and applies evenly. My swatch shows two coats. That completes all of the limited edition polishes that I picked up during the Boxing Day sales. I have picked up some (or maybe it was all?) of the January limited editions which I am hopefully be swatching soon! I do have lots of new things to play with at the moment. Anyway, my favorites from these ten limited editions would have to be LE135 and LE140. Look at me really narrowing down my favourites!